Amazon have played their next major card in their logistics strategy and it is as close to free delivery that you are ever going to get. Its a simple formula, the tried and tested franchising route. For a minimum investment of $10,000 American entrepreneurs are being offered the chance to develop their own delivery service. While full details are sketchy to say the least, one thing is clear from Dave Clark 's announcement the reputation of Amazon as being a low cost employer is set to make its way in to its new franchising model. By the Company’s Calculations an Owner Could Earn as Much As $300,000 A Year in Profit by Operating A Fleet of Up To 40 Vehicles. Let me do the math, that means that for every vehicle in a fleet of 40 the net contribution to profit is some $7,500, that is an awful lot of headache for such a small return, small enough to make the difference between profit and loss absolutely marginal. Buyer Beware. When you consider that Crane Operators at the nations waterfront earn a similar number per annum for loading and unloading containers it makes one think on what Amazon will be like when it eventually and inevitably builds up its asset base in maritime logistics. employees', and that 'best in class companies are 'driven by making the lives of the customers easier by highly engaged employees'. But how to do it? LIu He China's most high ranking economic advisor and notoriously most publicity shy official, addressed delegates at Davos this morning. 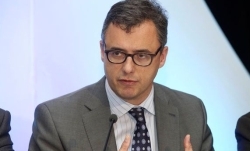 Ostensibly, he was responding to a request by organizers and Klaus Schwab Founder of the World Economic Forum, in particular to provide an overview of the current state of Chinese economic thinking. In a measured, candid address, Mr. Liu, while generally positive about China's prospects and indeed that of the global economy, did urge caution in respect of financial markets where he particularly singled out 'asset bubbles' and high debt as areas of concern. Turning to home, Mr. Liu reported China's finances as 'basically sound' but did admit that “shadow banking and hidden debt for local governments are serious problems we have to deal with” The 66 year old Harvard educated economist is head of the Communist Party’s top economic-affairs steering group, and a vice-chairman of the country’s main economic-planning body. He was elevated to the party’s 25-member Politburo during a leadership reshuffle event in October. 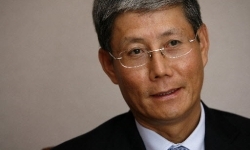 Speculation is now rife that he could become the next vice-premier in charge of China’s economy. 40% of global GDP, 80 countries and 60% of the global population That's how Michael S. Burke summed up the Belt and Road Initiative. Spanning four continents, the so-called New Silk Road is on track to be the largest infrastructure project in history. It's expected to enhance connectivity, encourage better exchange of cultural knowledge and technological know-how. In this discussion, the panellists explored the implications for regional collaboration and the expansion of clean infrastructure. The panel featured representatives from across the belt, who all offered their prospect on what it will offer the world. 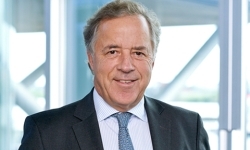 Frank Apel CEO of Deutsche Post DHL was not talking logistics today at Davos, he was talking sense. He transcended national and even internationalism to give a cogent constructive view on globalization. The boss of 500'000+ employees worldwide, Mr. Appel left listeners in no doubt as to who would keep the show on the road and combat protectionism, CONSUMERS, who will vote with their wallets and 'buy from different places' He agreed that inevitably, protectionism and tax reductions would mean short term gains for their protagonists, but that "it has never paid off in the long run" He ended his contribution to the panel 'Global Markets in a Fractured World' saying: "The only way out is to make your country more competitive. My home country of Germany is a very good example, we were a lost country in Europe 15 years ago, and now we are a powerhouse. Why? Because we make the right reforms and made the country more competitive." Logisticians the world over are very proud of Frank Apple today, he projected a strong no nonsense, can do attitude reflecting very positively on the industry that 'moves the world' LOGISTICS. Thanks Frank. Argentina is in a hurry to catch up with globalization and realises that a reliable, cost effective and efficient logistics system is key. (The country is ranked 66 in the World Bank Logistics Performance Index) President Macri has used his powers to issue a 'Necessity and Urgency Decree', (Spanish: Decreto de necesidad y urgencia, or DNU) a special kind of order that has the force of law and comes into force almost immediately. The decree covers a cross-section of the country's economy with a focus on industry, eliminating import licenses for hundreds of products and reducing LOGISTICS costs. Firstly, port handling charges and particularly pilotage come under scrutiny where reductions of between 20 & 40% have been mandated. Secondly the measures include allowing the use of trucks with double trailers ("bitrenes," in Argentina) hauling up to 75 metric tons, which, according to the transport ministry, will reduce logistics costs by at least 20%. The decree, Plan Transporte 2016-19 and Plan Belgrano, which involve major investments to upgrade road/rail networks, sea and airport infrastructure augurs well for the OECD membership contender. President Duterte’s, Tax Reform for Acceleration and Inclusion (TRAIN) law has taken off and with it has the country’s freight and logistics sector. The Philippine Ports Authority told the media over the weekend that its net income had risen from $140 to $160 million U.S. up 16% YoY on the back of surging container throughput which increased a whopping 3 million TEU. So, what is TRAIN and why is the Philippines now ranked by the World Bank as the world’s 10th fastest growing economy, at 7-8% annual growth ? This is how Moody’s the rating agency put it this weekend: “The Philippines' economy has been a standout in recent years, underpinned by strong domestic demand and favorable demographics. Domestic demand likely remained the main driver of growth, with exports also providing lift thanks to strong demand for electronics and components,” So that’s the answer, Domestic Demand, and that’s what the TRAIN law mandates, a reduction in personal income taxes, increasing people’s take-home pay., i.e. greater purchasing power. Mabuhay Philippines! 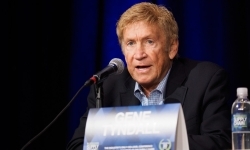 The United States, Federal Maritime Commission (FMC) has finished hearing evidence from representatives of stakeholder groups from maritime logistics. The FMC were responding to a petition filed by the Coalition for Fair Port Practices, a group of 20 trade associations demanding it intervene to combat unfair demurrage and detention charges. The coalition cited port labor challenges in 2014/15, the Hanjin meltdown in '16 & various snowstorms and hurricanes as examples of circumstances where charging demurrage fees was unconscionable. 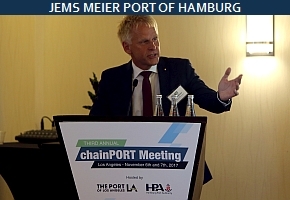 Shipping lines and terminal operators have vociferously defended their modus operandi and argue that any intervention by the FMC would cause more challenges than create solutions. 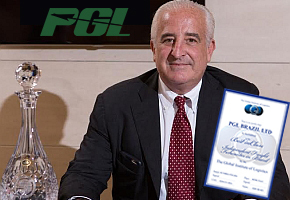 Michael Khouri Acting FMC Chairman, a noble man, with endless patience will need all of his vast experience to measure this one, he said: “Is a problem systemic or episodic? Are there places in between that we need to look at? Where do we step in with a judicious hand to make things better, recognizing that we’re not going to be able to solve all problems?” We give the last word to Karyn Booth pictured below. It is reasonable to assume that when you are the world's largest logistics company with access to information on what's literally 'inside' the Box (millions of boxes! ), you are qualified to check the temperature of global trade. Well that's what DHL under Tim Scharwath have done. Leveraging BIG Data, they have created the DHL Global Trade Barometer. (GBT) The premise is simple, hindcast is the basis for forecast and combined with real time data on the movement of intermediate and early cycle commodities central to production, it is possible to build a picture of world trade 3 months out and consequently the demand for logistics. Mr. Scharwath said yesterday: “DHL has a deep understanding of the driving forces behind global trade volumes and the industry expertise to analyze and interpret market data, Our network, knowledge and experience uniquely position us to understand global supply chains in order to derive a global trade outlook” In this DIGITAL week, Mr. Scharwath also had this to say. " GBT shows impressively how digitalization–with the use of Big Data and Predictive Analytics–opens up entirely new opportunities"
Maersk's physical presence in the global container market is self evident, it now owns and/or operates some 773 container vessels, with a total container capacity of around 4.15 million TEU giving it control over a 19.3% share of the market. However, its future success will not just be measured by lifts but also by clicks and so, it is to it's digital strategy that Maersk now turns its full attention. 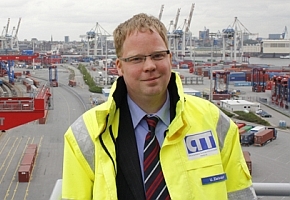 As the market leader it is vital that the company led by Søren Skou (pictured) brings shipping firmly in to the digital age. In a piece penned by Mr. Skou for yesterday's Wall Street Journal he is candid about the challenge, particularly in his final paragraph where he says: "The opportunities are enormous, but so is the possibility of disruption with the emergence of new competitors that were born digital. Our industry must develop new technology and software solutions in open, innovative communities. We need to digitize from the inside of our business, but at the same time, finding the best solutions will require our industry to partner with companies across a wide range of industries." Analysts are aligned in their view on how oil prices will perform this year and that is upwards. Global economic growth will support solid oil demand growth and this combined with the return of geopolitical risk will exert continued upward pressure. When one considers that a 20,000 teu container vessel burns 250 tonnes of heavy fuel oil (HFO) a day at sea at today's price of $375 per ton, (up from $300 last spring) you get an idea of the type of headache that carriers and consequently shippers are faced with. All the slow steaming in the world won't provide the necessary savings to mitigate that kind of rise. The Plot Thickens! Norway's sovereign wealth fund, the largest in the world at a valuation of $1 trillion, has decided to exclude four shipping firms from its portfolio over their shipbreaking practices. 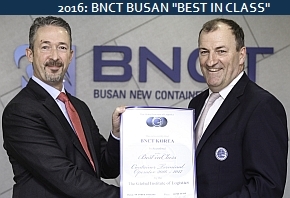 The four companies are, Evergreen Marine, Precious Shipping, Korea Line & Thorensen Thai. The fund's Council on Ethics based its recommendations on the practice of scrapping ships at beaching yards in Pakistan and Bangladesh. It asserted that working conditions are extremely poor and harms the environment. "The Council considers that by disposing of ships for scrapping in this way, the company can be said to contribute to serious human rights violations and severe environmental damage, beaching is a consequence of an active choice on the part of the company that owned the vessel to maximise its profit . . . There are better ways of dismantling ships that are readily available to the shipowner, but these are more expensive." The announcement coming at the same time as BlackRock's CEO Larry Finks letter to CEO's of public companies advising that they start accounting for their effect on society indicates a turning point in how investment decisions will be made from now on. BlackRock CEO Larry Fink has written to CEO's of public companies advising that they start accounting for their effect on society. BlackRock a $6.3 trillion asset manager ,holds considerable sway in global bordrooms and in the words of one commentator, Mr. Finks letter has the potential to "Stand out as watershed moments that redefines the environment and re-direct the course of events like Bill Gates writing his “Tidalwave of the Internet” memo in 1995 and Steve Jobs holding up the iPhone in 2007" The paragraph in the letter which is the most instructive read: "We also see many governments failing to prepare for the future, on issues ranging from retirement and infrastructure to automation and worker retraining. As a result, society increasingly is turning to the private sector and asking that companies respond to broader societal challenges. Indeed, the public expectations of your company have never been greater. Society is demanding that companies, both public and private, serve a social purpose. To prosper over time, every company must not only deliver financial performance, but also show how it makes a positive contribution to society." $4 trillion in goods are shipped annually, more than 80 % by sea. The cost of trade documentation to process these goods is estimated to reach 20% of the transport costs. Now, Maersk & IBM have teamed up to reduce this inefficiency using blockchain. 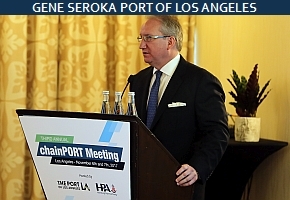 Michael White, CEO of the JV (commencing in New York in 6 months) explains the how and why: "Blockchain technology will employ smart contracts determined by the goods being shipped and the authorization they require while in transport, eliminating delays and reducing the time waiting for information for cargo to move. 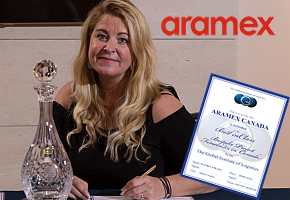 Currently, documents have to go from one customs or regulatory agency to another, signed off on, sent to by courier to the broker who presents it to customs to validate it as an original certificate. If any one of those documents are delayed, if there are questions around validity, then the shipment will be held up. And yes, while there are track and trade products out there, they're inconsistent with gaps in the information. Blockchain resolves this, however the bigger value is getting access to the information and the documentation when it's needed to prevent cargo from being delayed." 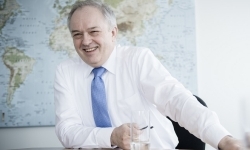 Last week the BIGger Picture quoted Joerg Wolle, Chairman Kuehne + Nagel who in response to a question on the possibility of being 'disrupted' by a digital newcomer said. 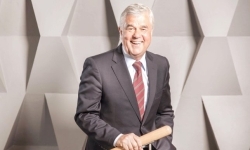 "We do not see a disruptive development that could replace a group like Kuehne + Nagel. We are ahead of new companies because of the huge network and our competence ultimately it takes people who control the flow of goods and fix problems." Well, one week later, it's a little easier to see where the Chairman's confidence was rooted. On Monday K&N signed a JV agreement with Singapore state owned Temasek. The common goal is to invest in young companies that develop innovative technology for logistics and supply chains. The partners want to focus on big data and predictive analytics, artificial intelligence, blockchain and robotics. Temasek which manages a US$197b portfolio will bring its investment expertise, while K+N will make its global logistics network and know-how available. Not that Temasek will be short on know how, it was the majority shareholder in APL until its purchase by CMA CGM. Vietnam's logistics industry has the potential to become a key economic sector; however, after 40 years of operation, it still shows many weaknesses. According to Ousmane Dione, Country Director of World Bank in Vietnam, Vietnam has emerged as a global manufacturing hub and one of the world’s leading foreign direct investment (FDI) destinations. Despite highly appreciating the potential of Vietnam’s logistics with export revenue growth being robust, Dione said that Vietnam still often carries out the lowest value-added segment of production in global value chains. Moreover, Vietnam’s trade costs are higher than the ASEAN average. As a proportion of GDP, logistics costs in Vietnam stand at about 18 per cent of Gross Domestic Product (GDP), almost double that of advanced economies and higher than the global average of 14 per cent. Vietnam’s ranking in the Logistics Performance Index dropped from 48 in 2014 to 64 in 2016. During the same period, other economies improved their performance much faster than Vietnam, meaning it is losing competitiveness. Hu Huaibang, chairman of China Development Bank, told a panel at the Asian Financial Forum in Hong Kong that the bank had extended $110 billion in loans to projects along the ancient trade route by the end of 2017. The Chinese bank, which has assets of $2.4 trillion, was set up to provide medium-to long-term loans to the country's major economic and social development projects. It is also the world's largest development finance institution. The bank falls under the direct leadership of the country's State Council and is financially backed by the Ministry of Finance and Central Huijin Investment, China's largest investment company. China, Asia and the world are waking up this morning to some really incredible figures coming out of Shanghai's SIPG. Foreign Trade Growth Laid the Foundation for International Container Transportation Demand and Pushed Up the Port's Throughput Growth"
A claim backed up by the the Chinese General Administration of Customs who said Friday: "China's Foreign Trade Rose 14.2 Percent Year On Year In 2017, Ending Two Years Of Drops"
The Global Institute of Logistics (GIL) was established in 2003 under the Chairman of renowned US logistician and author Robert V. Delaney in response to the global logistics industry’s call for “joined up thinking” amongst stakeholders in the global supply chain. 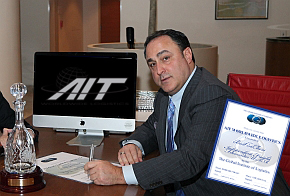 Since being established in 2003, the Institute has developed a community of over 8,500 logisticians who act a global knowledge network committed to supporting the Institute's mission of contributing to the resolution of legacy challenges in global logistics. Challenges associated with the traditional approach of managing single transport modes, modal systems as stand-alone operations. The key to overcoming these legacy challenges is for the individual stakeholder groups within the logistics chain to actively engage with each other. The promotion of this agenda is the Institute's work. Acting as a think tank within the sector, GIL brings together thought-leaders as part of a global knowledge network committed to researching and sharing best practices and developing global standards. 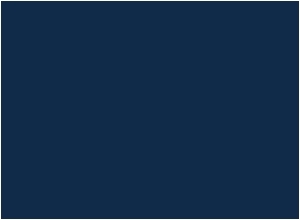 Today the Institute is a community of organizations and professionals from across the world that share a commitment to collaborating on global logistics solutions. This work is supported by the Institute's benchmarking groups which in the first instance convene to share best practice amongst themselves as it relates to the performance of their individual concerns. Secondly, the groups collaborate with each other to build greater mutual understanding which in turn leads to joined up thinking across the supply chain. 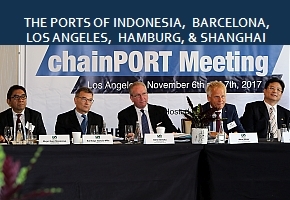 The Institute membership base which comprises global shippers, 3PLs, carriers, port authorities and terminal operators collaborate closely, share knowledge and in so doing improve the global supply chain. Members co-operate closely and consistently in leveraging best industry practices to add real value to the supply chain management process. The vision of the Institute is the establishment of Collaboration as standard policy between stakeholder groups and as the core best practice in logistics execution. The mission of GIL is to establish a global community who are committed to collaborating on global logistics solutions. Recognizing the individuals and companies who are making a contribution to the industry. Providing the platform for this community to engage in collaboration. Cross-border trade has grown massively in recent decades, with a colossal $18.93 trillion worth of goods imported/exported in 2015. Global Logistics is the engine that powers international trade. 90% of global trade is seaborne, with some 60% shipped in 700 million containers every year and 185 billion tonne-kilometers flown annually. Globalization has led to faster, cost effective and reliable communications and transport options. Companies are extending their value-creation processes around the world because of lower transport costs. 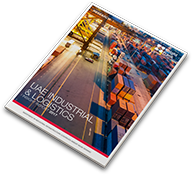 This has led to a growing demand for logistics, and all its elements, transport, storage, transshipment, communications, planning and control services. This demand led growth has increased pressure on Beneficial Cargo Owners to optimize the quality and costs of their logistics services. 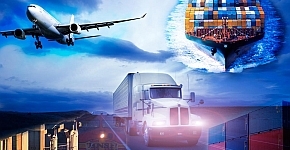 Transportation and logistics companies hold a unique position because they are the very entities that make globalisation possible. This industry is made up of companies that supply the systems and software, run the warehouses, provide the consulting and operate the airplanes, boats, trucks and trains that move raw materials, finished goods, packages, documents and people throughout the world. They act as the arteries of commerce. TAUGHT TO COMPETE NOT TO WORK TOGETHER. The transportation and logistics landscape is highly fragmented, due largely to the numerous moving parts it takes to get a Beneficial Cargo Owners (BCO) product from concept design through production and all the way to the end-user’s hands.The quality and costs of logistics services are directly influenced by the level of collaboration between the parties responsible for the execution of the task. Collaboration results in more effective co-ordination and control in the flow of goods between the point of origin and the point of consumption. Collaboration increases communication resulting in the harmonization of the freight, finance and data flows that constitute the logistics process. The net effect is increased reliability, lowers costs and improved inventory management. 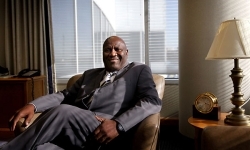 The Institute promotes collaboration between stakeholders in the logistics industry. By Collaboration we mean the creation, development and maintenance of relationships between global logistics partners resulting in mutual exchange and fulfilment of promises at a profit. It is a philosophy for doing business successfully; it promotes a culture that puts the buyer-seller relationship at the centre of a firm’s strategic and operational thinking. Logistics systems are the arteries of trade and central to the success of globalization in the 21st century. 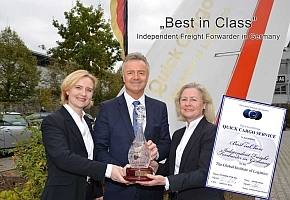 Beneficial Cargo Owners are basing decisions on how they organise production and in fact their whole corporate structures entirely on the provision of logistics services. The ‘modular production’ model is an example. In this, contract Beneficial Cargo Owners carry out production against a background of organisational change. The set-up comprises small and large firms, and small and large geographical scales; it aims to create a large number of products in few processes to receive maximum revenue through economies of scale. Logistics has grown to become the key unit within this set-up, since it has to provide agility and flexibility for any one module, as well as for the interaction of all modules, in the entire network. That means organisational as well as geographical flexibility. Thus a major shift has occurred in how and where commodities and their components are being assembled, manufactured and distributed. This combined with the continued push toward efficient manufacturing processes such as lean and Six Sigma mean that it’s not enough for Beneficial Cargo Owners to know that critical parts or stocks are on the way or have been shipped. They need to know exactly where supplies are in the supply chain, whether they've cleared customs, whether they’re sitting in a warehouse or if they’re on the last leg in a journey to the loading-dock or the customer. For the global logistics system to work in support of these new models there has to be increased collaboration between logistics service providers across continents. This is the work of the Institute to encourage and develops collaboration between these providers, resulting in higher logistics service quality and consequently a better economic performance of all partners. By Collaboration we mean the creation, development and maintenance of relationships between global supply chain partners resulting in mutual exchange and fulfilment of promises at a profit. It is a philosophy for doing business successfully; it promotes a culture that puts the buyer-seller relationship at the centre of a firm’s strategic and operational thinking. The Institute has a particular focus on maritime container logistics which is perceived as highly fragmented. We work closely with port authorities, container terminal operators,shipping lines, freight forwarders and 3PL's and encourage them to re-think their role in the logistics process. Our aim is to break down the silo based approach to process execution in the logistics supply chain. 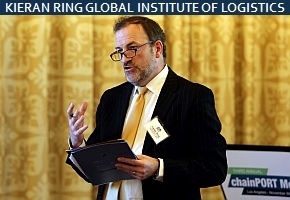 In 2003 a group of logistics executives from across the world came together to form the Global Institute of Logistics. 10 Years on GIL is playing its part in making the world smaller through its philosophy of promoting collaboration. Shenzhen China played host to the 10th anniversary celebrations of the Global Institute of Logistics this October. It was to Shenzhen that Institute researchers first turned their attention to at the time of GIL's inception in 2003. 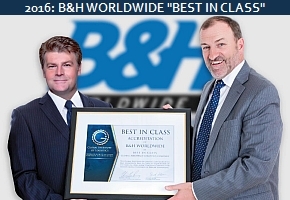 The Institute's first research program focussed on how United States Beneficial Cargo Owners (BCO's) sourcing in Southern China engineered "best in class" logistics solutions. The research focussed on the consumer products companies using the Trans Pacific Trade Lane, shipping more than 10,000 TEU annually. China's entry into the World Trade Organization in November 2001 was the beginning of the present era of globalization. The figures for internationally traded goods between then and now show just how enormous an impact on world trade it had with an increase of over $1 Trillion over the period. This translates directly to a significant increase in container flow, China witnessed a 100% increase in container throughput from 2001-2003. “Together we have been able to make a contribution to "thought leadership" and I am proud to say that many of the theories we expounded over the years are slowly playing out in reality." 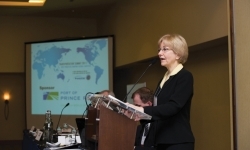 "The Global Institute of Logistics will develop a community of like minded professionals from across the world committed to building strong relationships in pursuit of a logistics system fit for purpose. Logistics systems are the arteries of trade and central to the success of globalization in the 21st century. These systems will rely heavily on collaboration between stakeholders across continents,the Institute's work will be to identify the corporations and people central to its success"
Kieran Ring Founder and CEO of GIL said, "It has taken enormous commitment and dedication by all supporters of the Institute to get to our 10th anniversary, but it has been worth it, slowly but definitely we have established a community of like minded professionals who love this industry and the science behind it. Together we have been able to make a contribution to "thought leadership" and I am proud to say that many of the theories we expounded over the years are slowly playing out in reality. 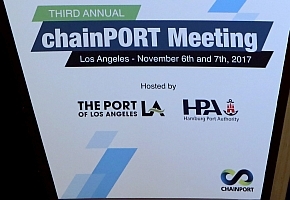 A group of leading ports from around the globe wrapped up a two-day meeting in Los Angeles on November 7th as part of the maritime collaboration chainPORT, a global initiative established in 2015 to digitally connect ports worldwide and boost efficiency within the global maritime supply chain. 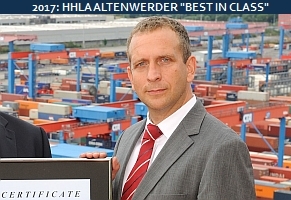 The Institute has begun naming the first of the World's Top 50 Best in Class Independent Freight Forwarders. The G50, when completed, will form the nucleus of a new benchmarking group being convened to set and raise standards in the industry. 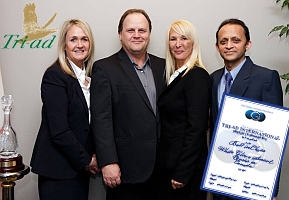 CTQS is entering its 10th year of development and is continuining to gain new recruits across the world. Terminal operators are keen to implement Quality systems in pursuit of higher efficiencies. 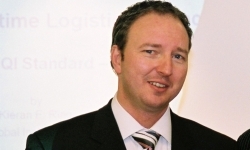 Independent freight forwarder are taking market share from the multinationals. The Institutes research in to this phenomenon will be published in stages beginning in October 2016.